Just think next Saturday is Christmas Eve. This cutie has a votive candle at the base. I moved the watch collection to the top of the curio cabinet until after Christmas. The Angels are using their space on the bookcase. You will soon see why they were moved. 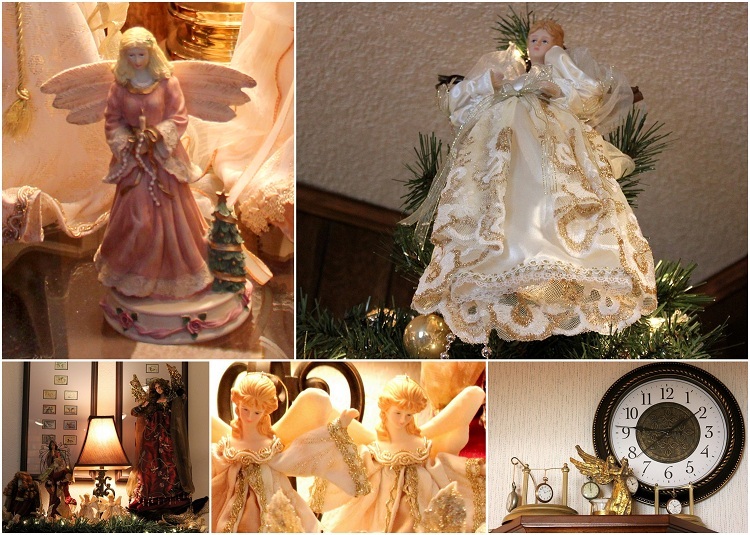 I found some lighted garland and decorated my bookcase with a small light from my guest room and some of the tree top angels along with the whimsical ones adorn the top shelf. I bought my favorite standing angel about ten years ago at the Kraft Library Here. This is an authentic vintage Swedish Angel Chime. I purchased it when my children were very small. It represents the Advent Wreath and one candle is lit each Sunday before Christmas. Thank you for joining me as I show you my joyful collection. Hi Betty! 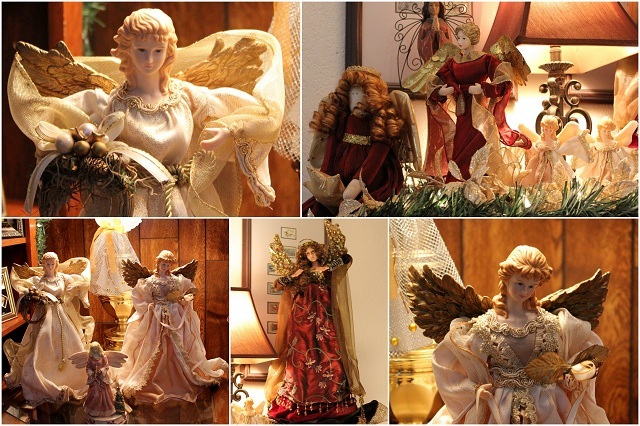 You have a beautiful collection of angels! Merry Christmas. OMGosh Betty...what a Fabulous Collection. Thanks for sharing. Happy Pink Saturday and Merry Christmas. Lovely angels, I collect angels too. I also love the Swedish angel chime. When I was a young girl I would watch ours spin slowly as the flames made it move. Thank you for bringing back a happy memory. Happy Pink Saturday. Hugs. P.S> please stop by Katherines Corner and add your lovely blog to my new blog list page ( if you haven't already) and don't forget to enter the Tis The Season Giveaway it ends tonight. I love your angels too!! They are beautiful. You have a beautiful angel collection. Thank you for sharing them. love your angels, they are so beautiful. Come to a Church Bazaar!